Discussion in 'Unregulated (Mechanical) Mods' started by r055co, Nov 28, 2017. What is it and where can I buy one? gadget! and dhomes like this. One thing to add though, off all vendors in vaping no one gives the support Kennedy does on their devices. No only you have lifetime warranty but, at least me for being long time customer, I get free re-cerakoting and even free cerakoting on stuff that wasnt when originally bought. Just got back my roundhouse 20700, free cerakoted, free shipping AND they installed a new engraved button without even asking for it! jwill, CashNVape, Bluenatic and 1 other person like this. CrazyChef v2.0 and The.Drifter like this. I'm thinking maybe you're setting the coils at a less than optimum position? Or maybe the wrong size I.D.? 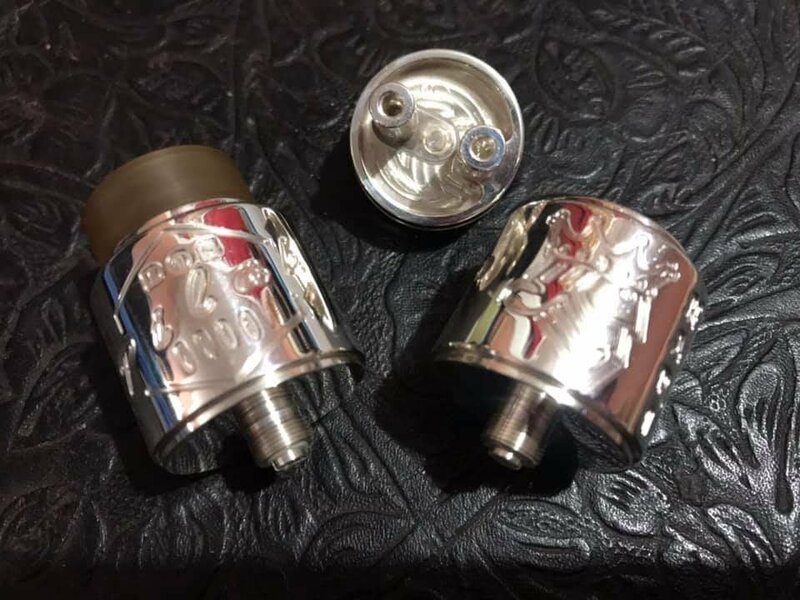 I wanna help you figure this out, because the Goon 1.5 is one of my favorites for flavor of the more commonly produced RDAs. I just stopped trying to get a good build on those, except for the LP my coils are always 3mm, 0.8 OR 0.15ohm, position midway between the post and the outter wall and leaving about a third of the coils' bottom in front of the holes. Maybe I am a snob, sorry. 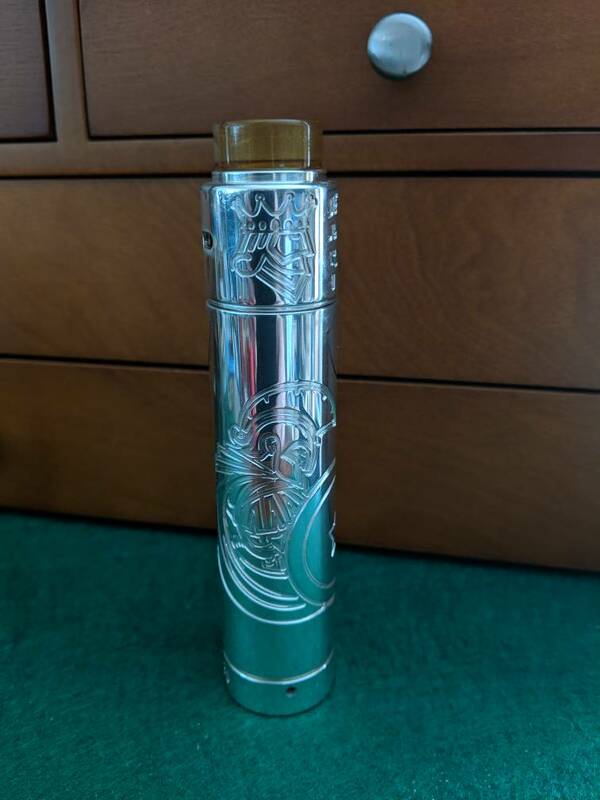 I dont consider that mod close to a "high end mod". Def looks cool though. There's a huge spew about this mod and armageddon, on other websites. Im with you it’s not high end, more mid-end. I assume you are talking about the siege, it’s innovative though. Yeah purge is over priced for sure. Maybe I'll grab a siege because my dreamer mod isnt big but the viper is def big, way too big. gsmit1, Wb80, MrMeowgi and 1 other person like this. Bestia is smaller ... but that is not the issue. The Grip is a great mod too. Look - Purges are well made. 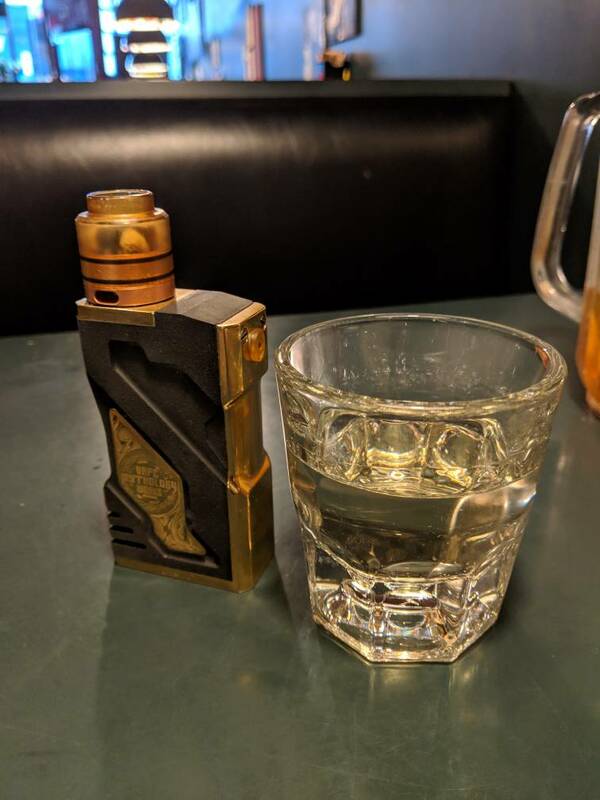 I have and have had quite a few Armageddon mods. The threading and buttons are not as good as the Purge, Dragon or Complyfe or for really high end Pilaks. That said I'm not a huge fan of the Purge siodefires. I traded away two Slams and two Slims. The Grip and Siege fire better. Honestly, i don't care what people like or use. The idea is to give up analogs. Whatever works for you. Myself, I do not use clones. That's me. Should not stop others from using them. I've pared down my mech collection to just seven tubes - used to have 15-20. Lately gravitated towards large RTAs on regulated mods. Not talking about The Grip, was talking The Siege. Im not hating on Purge, they are well made yes, so are a lot other american and chinese ones. I have two and wouldnt mind a third at some point. I still believe they are a $50 ~ $100 overpriced, based on model. CashNVape and KingPin! like this. Cerakoted my Vortex today in a distressed antique white with grey accents and a shimmer blue along the ridges of the machining. sheboygenz, gopher_byrd, gadget! and 4 others like this. KingPin!, jwill, Wb80 and 1 other person like this. pulsevape, jwill, Wb80 and 1 other person like this. Well I couldn't resist, just got the new Hari Dos RDA. Oh she's a wonderful exquisite work of art and of course perfect match for my Pilak's! 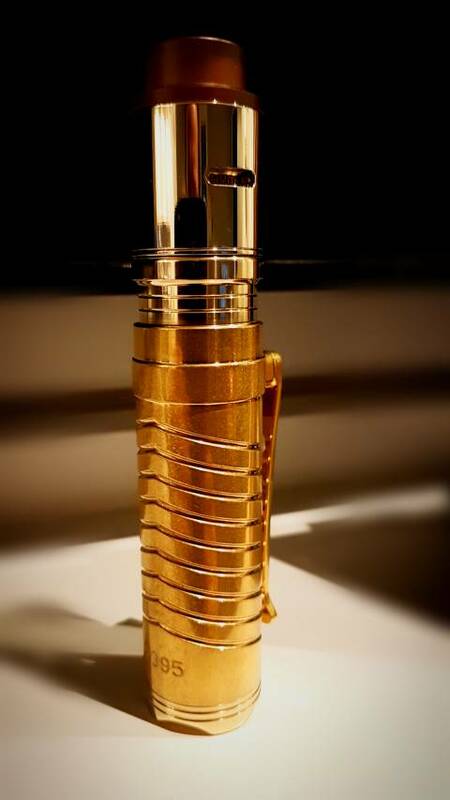 The.Drifter, gopher_byrd, pulsevape and 4 others like this. Dude that is nice. Not to diminish the beauty of the mod but that RDA is freaking awesome. 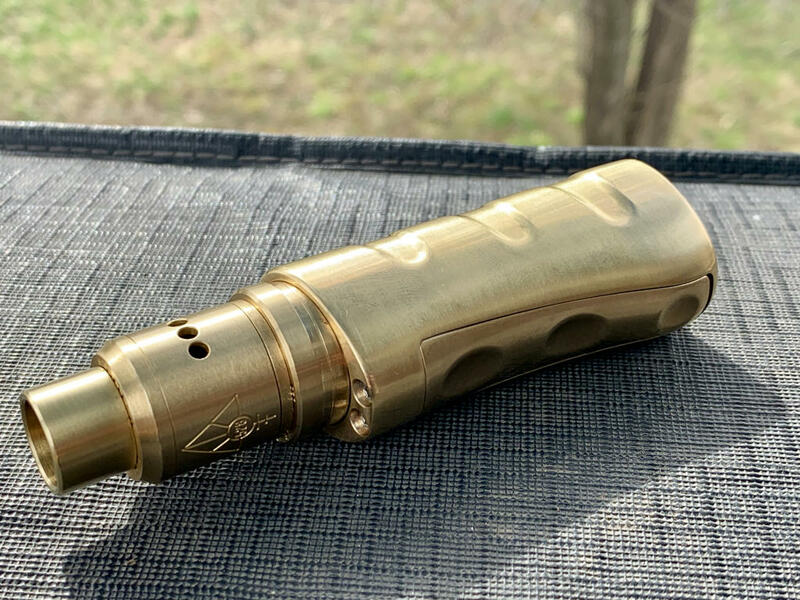 Love the King engraving and highly polished drip tip. Trust me when I say pictures do nothing. The workmanship is beyond anything I own or seen. 2JNT are IMO the best crafted out there. Where did you scoop that up? Directly from them? That is one of the most beautiful mechs I've seen. Yeah I got it direct from them, Corazon is very easy to work with. I don't think any of them are available yet to resellers, could be wrong but I haven't seen them yet. It really is an awesome RDA. All pure silver other than the grub screws, so you really need to be careful tightening them down. jwill and CrazyChef v2.0 like this. Just got it in from the PI, Empire Mod by VMW/SOB Philippines. Damn fine duel parallel with silver contacts. MrMeowgi and gopher_byrd like this. Love this setup. Silver contacts and 510 pin for the cuete. DonBaldy and MrMeowgi like this.